Mr. Ghié oversees the offices of Admissions, Financial Aid and Scholarships and the Registrars on both the Beirut and Byblos campuses. He coordinates with deans and senior administration to identify enrollment goals and leads enrollment management initiatives to achieve those goals. Working towards implementing the university’s new Strategic Enrollment Management Plan, Mr. Ghié develops, modernizes and spearheads all projects related to the Enrollment Management unit, in order to better serve LAU students. Mr. Ghié is working toward increasing standards of admission and works closely on developing LAU’s effort to offer more university services online. He is also implementing the new Financial Aid and Scholarships Plan to offer more financial assistance, in the form of scholarships and loans, to prospective and current LAU students. Mrs. Abdul Rahman joined LAU in 2007 and had a diversified journey within several SDEM departments including academic advising, outreach and civic engagement, and study abroad. She established the Office of International Services in 2016 and has been working since with LAU Schools and offices on increasing LAU’s international programming, and consolidating LAU’s services to international students. Dr. Takchi is an associate professor of Mathematics. He joined the Lebanese American University in 1992. His research interest was Algebraic Complexity, and he is now working in a different area, namely non-smooth analysis and its application to control theory. He teaches Calculus courses, Differential Equations, Numerical Methods. He was a professor at the Lebanese University from 1985 until 1992. 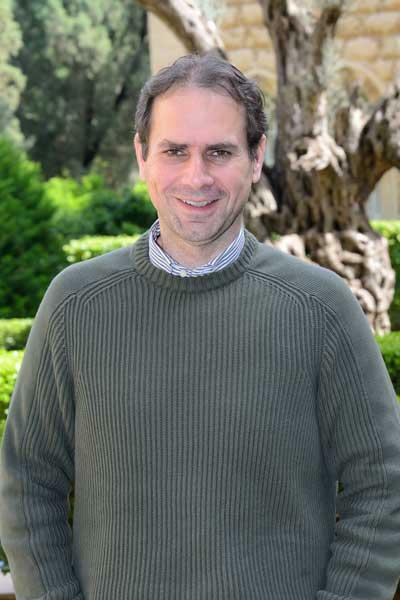 Dr. Haraty’s research interests include database management systems, Arabic text processing, and information security. He has written over 120 books, book chapters, and journal and conference paper publications. He is a member of the Association of Computing Machinery, Institute of Electronics, Information and Communication Engineers, and the International Society for Computers and Their Applications. He is currently the Faculty Senate chair. Dr. Marwan G. Rowayheb teaches courses in cultural studies and history of Lebanon. His research interests include ethnic relations, local government, state-society relations, conflict resolution, Middle Eastern politics and international relations (international organizations). His last two publications are: Walid Jumblat and Political Alliances: The Politics of Adaptation, Middle East Critic and Political Change and the Outbreak of Civil War: The Case of Lebanon, Civil Wars. Mrs. Javaro graduated in 2010 from Académie Libanaise des Beaux-Arts (Alba) with a Masters in “Création Publicitaire”. Mrs. Javaro is responsible for keeping the LAU MEPI TL website up-to-date and assisting in administrative program-related work, among other tasks. Mr. EL-Delbani hold a Master of Business Administration from Devry Graduate School of Management in NY with a Bachelor of Science in Business Administration from Brooklyn College in NY. Determined and ambitious. Management Professional with 10 years of experience in multiple industries ranging from Private Business to NGO’s and Education sector. Ms. El Hajj holds a BS in Business - Management from the Lebanese American University. She joined the MEPI team in October 2017, after a journey of working in the private sector. Farah believes in the importance of intercultural interactions and knowledge, thus finds it fulfilling to help students from different countries and backgrounds to live and study in Lebanon and enjoy the cultural differences. Ms.Youssef Holds a Bachelor degree in Political Science, International Affairs from the Lebanese American University Byblos, Lebanon, and Master degree in Middle Eastern Studies from Universita Cattolica Del Sacro Cuore, Milan, Italy. Have three years of experience in Non-Governmental Organization work, passionate about humanitarian and field work. Mrs. El Hajj hold a Bachelor degree in Business Management from the Lebanese American University. Joined the MEPI team in January 2018. Passionate about social work and volunteering. Mr. Sakr handles all aspects of central corporate finance and accounting for LAU and its affiliated entities. He Leads the team responsible for LAU’s compliance with American and Lebanese taxation and audit requirements, treasury and Investments, financial reporting, local and U.S. compliance. He also manages the university’s financial data system. Ms. Lahad is the senior budget analyst and assists with grants and university budget preparation and reporting. In her role at the LAU-MEPI TL Program, she assists the TL grant coordinator in budget tracking, preparation and reporting.